Before we begin the conversation on the ultimate effects of Quantitative Easing, it is important to understand what exactly it means and how it takes place. When the United States government needs money they borrow it from the marketplace. They do this by issuing I.O.U. 's called treasury bonds. These bonds are given out at an auction where investors show up with some cash to bid on treasury bonds. 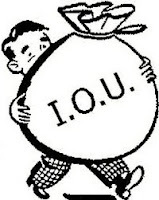 The government takes the cash, and the investor goes home with his I.O.U. piece of paper promising to pay them X amount of interest every month. At the end of the life of the bond the investors receives back the entire amount originally lent. Bonds can be as short as 3 months in duration up to 30 years. One of the investors that shows up at these auctions is called a primary dealer. This is a designated major bank such as Goldman Sacs. The US government is auctioning off $75 billion in debt. 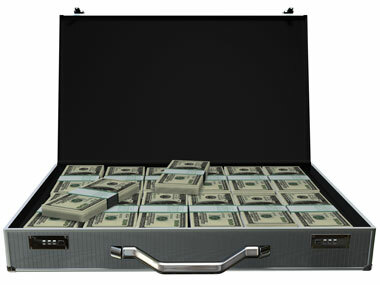 Goldman Sacs shows up with $75 billion in cash and they go home with a suitcase full of I.O.U. 's that will pay them interest on their new investment. The Federal Reserve then prints $75 billion in fresh new dollars out of thin air. They take a ride over to the Goldman Sacs office, hand them the suitcase full of money, and the Fed drives home with a the suitcase full of I.O.U.'s. Do you see how this boosts asset prices? Money in the global economy flows like a river downstream bouncing off of rocks. Money never sleeps. It constantly moves around the world to different asset classes where it feels it will be best treated. It does not feel like money is moving rapidly today because it is hiding in the treasury bond market which is currently in a bubble. When that bubble pops, and funds rapidly leave that market, you will see that cash move to the next location. The problem foreign countries have with the Federal Reserve is that they know a large majority of the money from the Federal Reserve's $900 billion in "Quantitative Easing" over the next 8 months is going to wind up on foreign shores. That is where money is currently being treated best. Goldman Sacs is not stupid. When they receive their $75 billion in cash they understand that by the Fed printing the money it debases the value of the underlying currency. (the dollar) They then will move that cash into another currency and the money will then enter that money supply. For example, if Goldman Sacs takes their $75 billion and purchases $75 billion in Australian bonds, that means the investor in Australia who was holding the suitcase full of Australian I.O.U. 's is now holding a handful of Australian cash. What will they do with the money? They could purchase Australian real estate. They could purchase Australian stocks. This new money will create an asset "bubble" in these markets. In addition, because Goldman Sacs is selling American dollars in the transaction and purchasing Australian dollars the American dollar weakens and the Aussie dollar strengthens. Currencies work the same as stocks. Prices are determined on an open market based on the number of buyers and sellers. Countries like Australia are dependent on their exports for economic growth. If a country has a stronger currency relative to other nations it makes their goods more expensive to purchase and reduces the total number of exports. Imagine a boat from America pulls up to the Australian shore with $100 in American dollars. In order to purchase goods from the man on the dock the American has to convert his dollars into Aussie dollars. If the Aussie dollar is worth $.90 against the American dollar, the American gets $110 worth of goods. If the Aussie dollar has strengthened to $1.10 against the American dollar, the American only goes home with $90 worth of goods. This is why you hear about a global currency devaluation taking place around the world. Central banks are intervening in their currency markets as the Federal Reserve weakens the dollar. It is a race to the bottom. The best analogy of the currency devaluations are ships sinking together out in the ocean. It is just a matter of who will sink the fastest. And how do you measure the ships sinking? Follow the price of gold. It continues to watch the markets and accounts for every new Quantitative Easing and every subsequent currency devaluation on foreign shores. While this printed money floods into the global economy and sinking ships, gold is the water surface measuring the depths of the debasement.